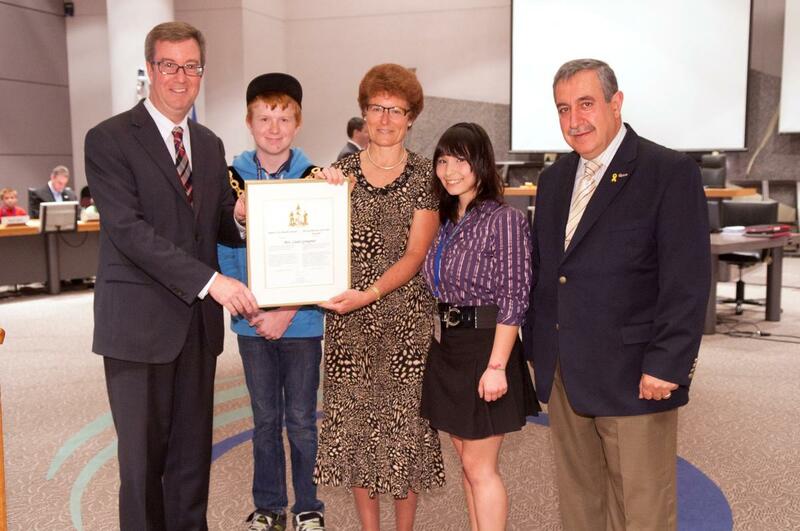 Mayor Jim Watson presented the Mayor’s City Builder Award to Mrs. Linda Graupner who is a dedicated volunteer with Big Brothers Big Sisters Ottawa. Over the past decade, Mrs. Graupner has been matched with two Little Sisters. Her association extends to past involvement on the program committee and more recently as a participant with the Holiday Hamper Program and Council for Advancement, the organization’s fundraising arm. In addition, she is currently working on a program that would provide bicycles and helmets to Littles who are unable to afford one. The presentation to a volunteer of Big Brothers Big Sisters Ottawa coincides with the Bring a Little to Council program. This initiative pairs each member of Council with a “Little” from the Big Brothers Big Sisters program.